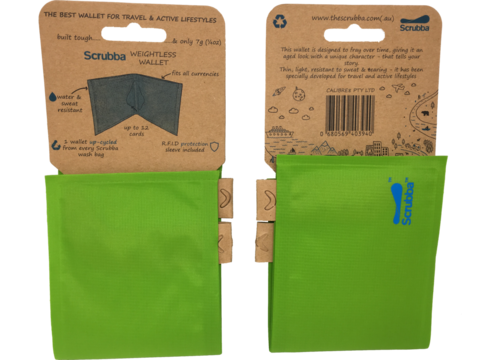 Quite simply, the Scrubba weightless wallet is the small wallet that is making a big difference. 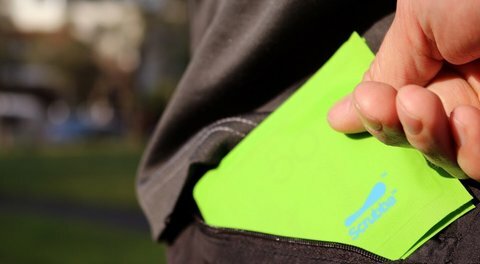 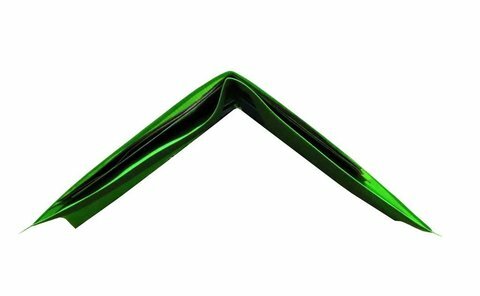 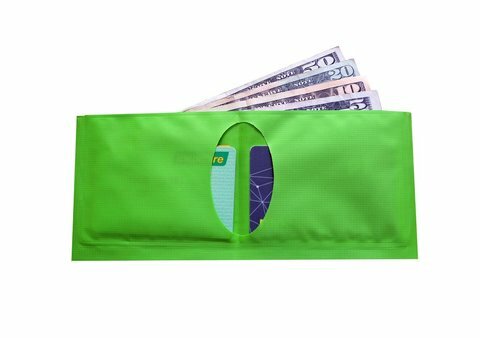 One of the thinnest, eco-friendliest wallets on the market, it is an essential piece of outdoor gear that is ideal for all kinds of physical activity. 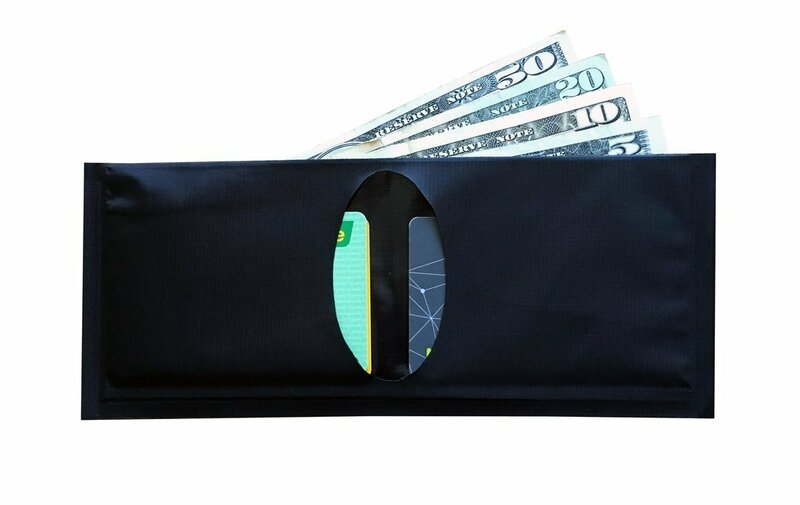 This lightweight travel wallet is doing more with less thanks to its virtually weightless (7g), yet uncompromisingly tough, polyether urethane-coated fabric. Weather- and sweat-resistant, it promises to effortlessly combat the blood, sweat and tears of even your roughest adventures, all while slipping easily into the smallest of pockets. Because the weightless wallet is 100% upcycled from excess Scrubba wash bag material, it offers top quality fabric at low cost while minimising impact to the environment. 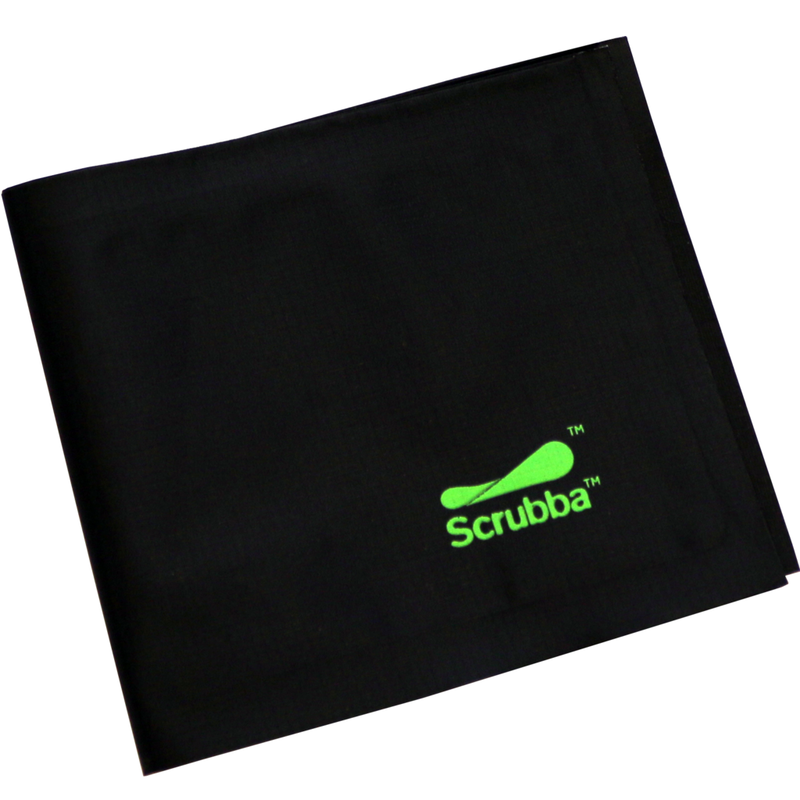 This contributes to a greener, cleaner world and ensures that fewer of the footprints you leave behind are of the carbon variety. 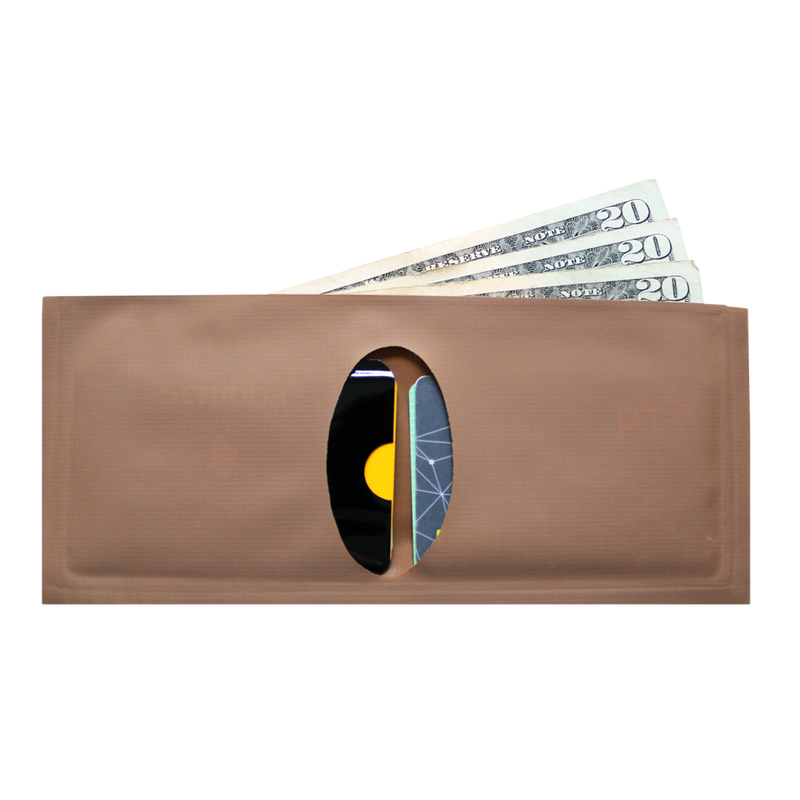 With edges designed to lightly fray over time, your wallet will even develop an aged look and a unique character that tells your story, making it truly one of a kind. 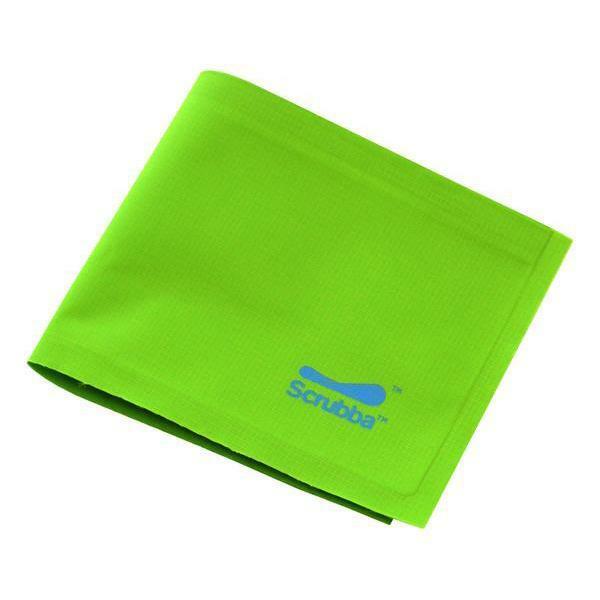 Experience the real power of minimalism and get back to basics with the downsized, upcycled Scrubba weightless wallet. 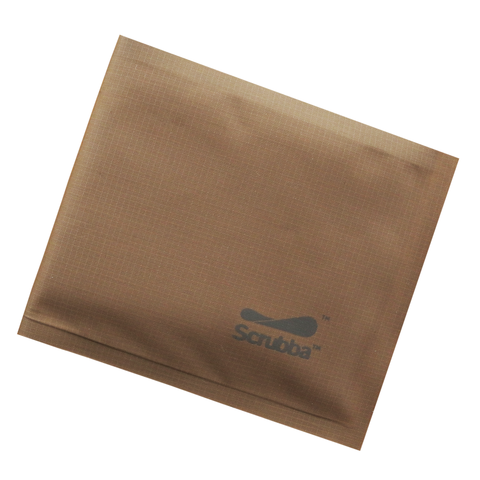 Includes 1 free RFID blocking sleeve. Available Colours: Green, Black, Brown.